The newest corvette “Loud”, which should soon replenish the composition of the forces of the Pacific Fleet (PF), for the first time launched a cruise missile of the Uran complex on a naval target within the program of factory running and state tests in the waters of the Sea of ​​Japan. “The cruise missile at the set time successfully hit a drifting surface target at a distance of 40 kilometers from a warship,” the Pacific Fleet press service quotes Interfax. 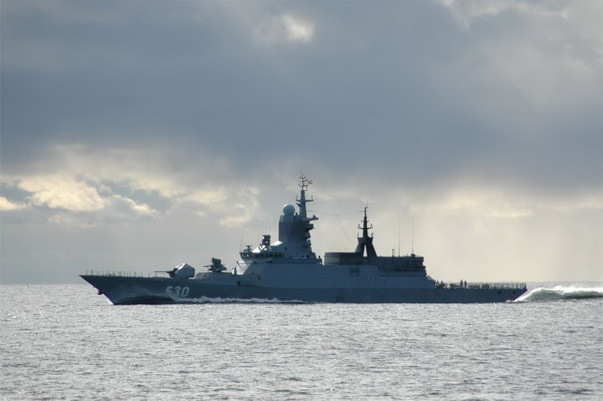 To ensure the implementation of the corvette combat exercises involved up to 10 warships and auxiliary vessels, as well as naval aircraft of the Pacific Fleet. As reported, at the end of August, the corvette “Loud” for the final test phase was delivered to Vladivostok from the Amur Shipbuilding Plant to the delivery base of the enterprise. The Corvette “Loud” is the second corvette of the project 20380, built specifically for the Pacific Fleet as part of the rearmament program. The length of the corvette is 104.5 m, the width is 13 m, the total displacement is 2.2 thousand tons, the full speed is up to 27 knots.